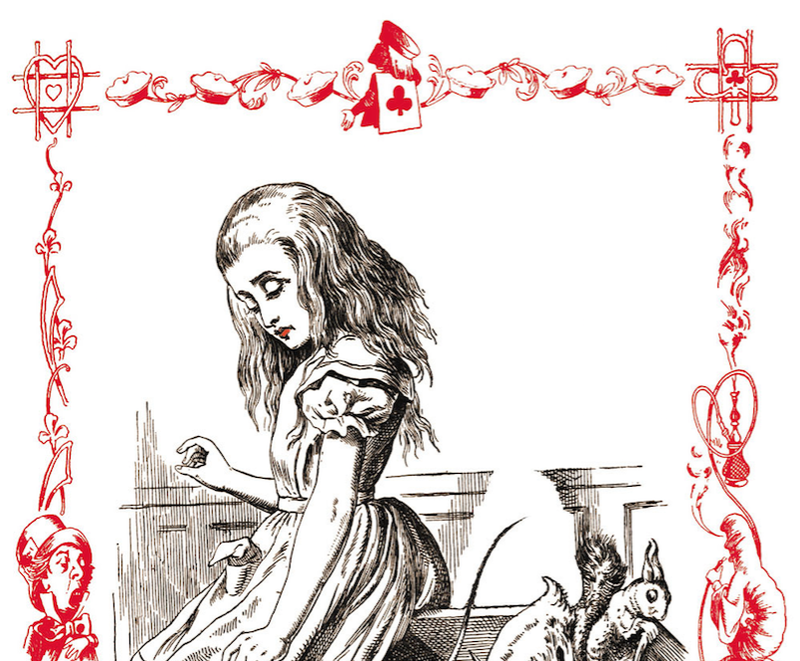 My bipolar disorder is Alice’s Wonderland. It’s a vortex, an alternate universe, a trip, a mad world where everything and nothing is possible at once. Depression is a freefall down a dark rabbit hole that feels as though it may never end and, if it does, what’s there to catch you but hard ground? Mania is the suspension of reality, the bread-and-butterflies and singing flowers, the poetic reptiles and verbose caterpillars. It’s a dream-like state without perspective, rationality or control. Staying too long there is roughly the equivalent of following a cat with a vanishing smile into a forest at night – dangerous and confusing. Now I am the master of my own Wonderland. I know all the routes, all the creatures, all the songs and all the optical illusions. But, occasionally, I am still Alice, lost and changing sizes, sometimes too small for this world, sometimes too big. I am down, I am up, I am forever chasing a small fluffy creature because delight and love are my reasons for still being here.